The capital values in the city remained under pressure and posted a minimal decline of a percent in Apr-Jun 2016, against Jan-Mar 2016. Despite considerable number of enquiries translating into transactions, skyrocketing prices in prime areas pulled down residential growth in the city. 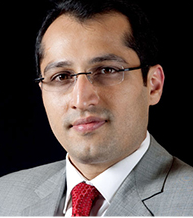 Viman Nagar, in East Pune, witnessed an appreciation of four percent in average weighted rates Q-o-Q. Proximity to IT/ ITeS hubs and the international airport coupled with BRTS corridor propelled capital growth here. Among other top performers, Hadapsar, Vadgaon Budruk, Karve Nagar and Wadgaon Sheri took the lead, observing an average capital hike between two percent and five percent Q-o-Q. Housing market in the eastern and western quadrants performed better than other pockets owing to persistent demand from IT/ITeS workforce and proximity to the manufacturing hubs. Capital values of residential plots in the outskirts of the city witnessed an uptrend owing to easy availability of land parcels. 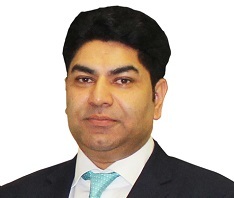 Shirwal took the lead with a quarterly rise of 14 percent. Micro-markets such as Camp, Fatima Nagar and Boat Club Road revelled in the presence of heavy discounts offered by the developer community. New launches were restricted across the city owing to delay in necessary approvals (as required by Real Estate Regulations Act, 2016) and slower than expected rate of absorption of the existing housing stock. Tenant population in Pune primarily comprises of working professionals from start-up firms and IT/ITeS sector, industrial workforce and students. The city recorded an average growth of three percent in average weighted rentals in the last one year. 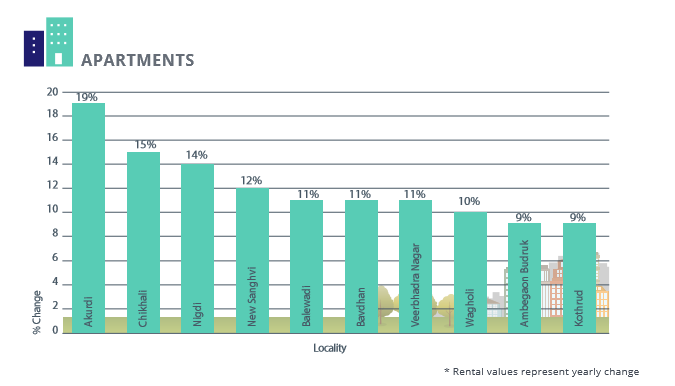 Peripheries ruled the roost in the rental landscape, with Akurdi in the North recording maximum rental yield at 19 percent in Apr-Jun 2016 compared to the same quarter in 2015. Prominent growth drivers included affordable rentals, hassle-free connectivity and the presence of educational institutions. Following suit were Chikhali, Nigdi, Balewadi, Bavdhan and Veerbhadra Nagar. These localities basked in the glory of proximity to prime commercial hubs and upmarket neighbourhoods such as Aundh, Shivaji Nagar, Hinjewadi and Kothrud, among others. EON Free Zone registered an 11 percent surge in rental ‘asks’ on the account of employment opportunities in IT/ITeS sector. While a 2BHK unit can be rented for Rs 15,000-Rs 20,000 per month, a 3BHK unit costs between Rs 22,000 and Rs 30,000 monthly. 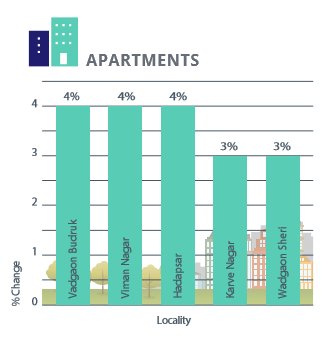 Wagholi continues to be popular among the tenants due to affordable rental stock. ‘Ask’ rates for residential stock here surged by 10-15 percent in a year. Areas such as Hadapsar, Koregaon Park and Kalyani Nagar bore the brunt of poor rental demand owing to civic issues pertaining to traffic snarls, insufficient parking space and under-developed infrastructure, thus recording a negative rental movement Y-o-Y. 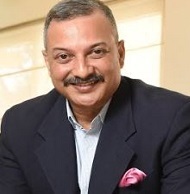 Taking cognizance of the falling demand, developers in Pune have restricted new project launches, particularly in the premium housing segment. However, certain budget brackets were still reeling under the pressure of demand-supply mismatch. Residential apartments continue to be the favourite amongst all other property types in Pune, in keeping with the previous quarters. Rising number of professionals and migrant population prefer to live in integrated townships offering tight security, open green areas and all amenities under one roof. 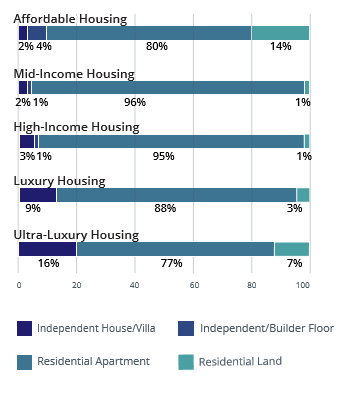 Barring residential apartments, demand surpassed supply, across every other property type. In the former category, supply outnumbered demand by eight percent. However, this mismatch has clearly been abridged in the Apr-Jun quarter as the residential launches witnessed a fall of 32 percent in H1 2016 compared to H1 2015. 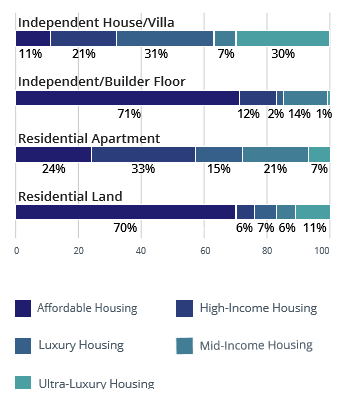 Demand exceeded supply by a significant margin in the affordable and mid-income housing segment, restating the need to focus on providing budget homes to end users. While demand for homes within Rs 40 lakh stood at 50 percent, the supply was way below 25 percent in Apr-Jun 2016 against Jan-Mar 2016. Contrary to the demand-supply dynamics in the affordable segment, availability of high-income homes, priced at Rs 60 lakh-Rs 1 crore, surpassed demand by a whopping 22 percent. 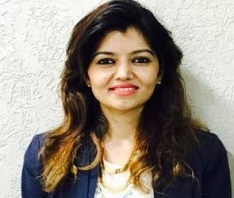 Evidently, the demand for premium housing is restricted in Pune and the coming quarters are anticipated to observe the offloading of existing stock instead of new launches in the segment. The 2BHK configuration continued to be the most popular as well the most supplied one amongst all other configurations. 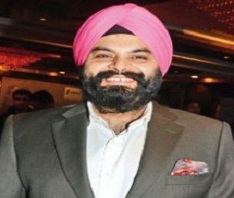 Providentially, both the supply and demand for 2BHK units stood at around 45 percent. With a large part of Pune housing nuclear families, 2BHK configuration becomes a palpable choice for many. In terms of availability, there was a close competition between the 1BHK and 3BHK category with 21 and 25 percent supply, respectively. 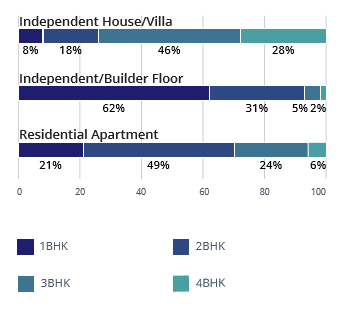 However, the demand for 1BHK is higher, at 36 percent, vis-à-vis 17 percent demand for 3BHK configuration. After 2BHK, it is the 1BHK configuration that follows suit in terms of demand, given the popularity of this residential layout amongst the single migrant population. Wakad, Wagholi, Undri and Baner housed the maximum 2BHK units while 3BHK units were mostly available in Kharadi and Hinjewadi. 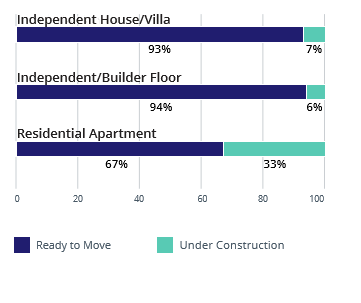 Given the indeterminate buyer sentiment clouding real estate in the country, the ready-to-move-in segment is more in demand than under-construction units. 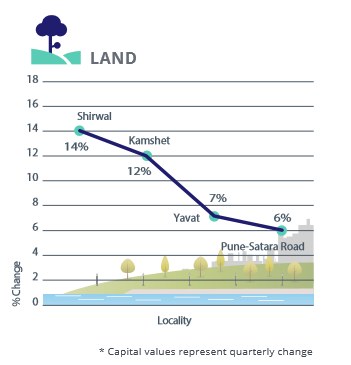 Pune’s residential landscape accentuated this trend, witnessing a demand of nearly 90 percent for ready-to-move-in units, while its supply stood at 70 percent only. 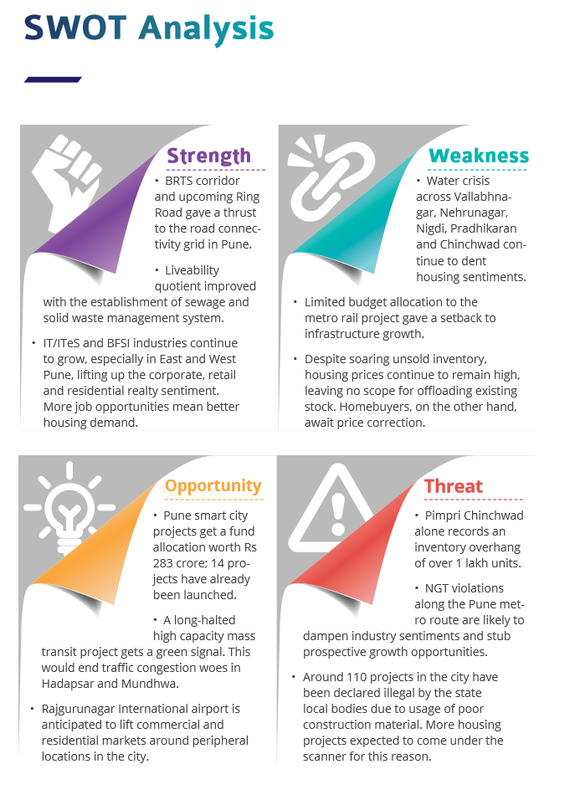 Housing belts in close proximity to IT hubs ruled the roost in terms of new launches of ready units across Pune. These include Wakad, Hadapsar, Baner and Kharadi. 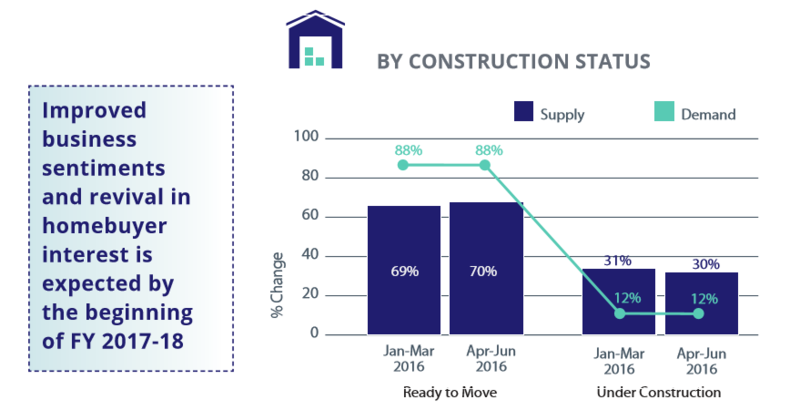 Inventory overhang was rampant across the under-construction category, with supply pegged at 30 percent, which was 18 percent higher than the demand in this segment. Baner, Wakad, Moshi and Wagholi housed maximum under-construction units in the city. Subsequently, the number of enquiries suffered as buyers continue preferring ready-to-move-in inventory.